In March of 2017, one of my books, If Only, had the privilege of being featured on her blog, Everyone's Story. Due to the nature of the various comments left by Elaine's blog visitors, it was impossible not to reflect a little about my own life as well. Advance the calendar to November of 2017, I was honored to appear on Everyone's Story again, this time in the form of an interview. I had the opportunity to showcase a couple of my books because of the responses to her various questions. 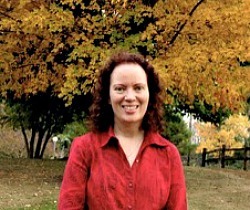 Now, at last, it's my pleasure to host Elaine Stock, the author, at Budden Book Reviews and I thoroughly look forward to introducing you to this wonderful Christian lady who enjoys life, thrives on writing stories from her heart and who isn't afraid to ask a question when she wants to know the answer. Without further ado, I now present to you one author who has become a dear friend over the past year - one of the most beautiful friendships 2017 brought into my life. Can she move forward without knowing her past? Will he enjoy his present if he can’t free himself from what he left behind? In the heart of the Adirondacks, Isabelle lives in the shadow of a dark family secret whose silent burden strips her family of emotional warmth and faith in God. Tyler belongs to the religious sect called The Faithful, which Isabelle’s father dislikes immensely. Yet, because Tyler belongs to this group, Isabelle sees only a man devoted to his family and faith. She wants it; she gets it; they marry. Staying could endanger her child. Leaving could cost her life. All single mom Jacey Tucker wants for Christmas is for her young son to have a home and a smile. What she never expected was an eviction notice from her apartment, or the loss of her job. Now she can’t leave Kindred Lake, Pennsylvania fast enough. Zander Paxton, wounded on duty while trying to save the life of his partner, needs a new residence for the second half of his recovery. His hometown of Kindred Lake offers promises, but it may be too late to make up for his past. She heads south. He travels north. In the middle of a blizzard, five days before Christmas, they collide on an ice-covered road. The kindness of two strangers provides a cabin for shelter, a place where pain is soothed and hope is renewed . . . until their pasts catch up to their present and threatens a forever separation. Is true love ever mistaken? Fall in love with a winter’s kiss that will last all season long. 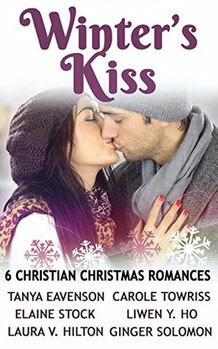 Six new heartwarming Christmas romances from bestselling Christian authors. War Veteran and ICE agent Brice Johnson faces the biggest assignment of his life—protect the woman he loves. Antonio Vivaldi wrote the well-known classical composition: the Four Seasons: spring, summer, autumn, winter. M*A*S*H star Alan Alda directed, wrote and starred in, along with Carol Burnett, the 1981 movie, The Four Seasons, giving visual image to three couples who vacation with each other during each annual season and share the different joys and crises in life. And, Stephen King penned the novella collection, Different Seasons, which group four stories connected by the changing seasons with the theme of character journey. Whether one lives in Florida and enjoys milder climatic seasons compared to my northeast of four distinct seasons, or if one lives in Australia and experiences seasons opposite of the United States and Europe, we all meet up and undergo different life seasons. Some of these times are wonderful: graduating high school and entering college, marriage, children and grandkids, a job promotion . . . even as big as winning a cruise or as little as hearing from a long-lost friend on social media. Yet, there are times of overcoming challenges: a chronic illness, the loss of a loved one (whether from intended estrangement or death) or any countless scenarios. I don’t have to tell you. You’re already familiar with the different seasons of life. In fact, fiction, whether novel or movie or theatre, would be deemed “unrealistic” and “boring” if the central characters had a nice life free of obstacles and outright hardships during the various seasons of their lives. As an author, I’m pulled by the physical change of season. Grant you, all I have to do is to glance out my upstate New York living room windows and see the brilliant colors of the trees in late September and early October. I drive down roads in mid-October on wide-eyed alert for deer because it’s their mating season. In November I put on the snow tires, aware I’ll soon be crunching snow as I walk to the driveway to shovel off the white accumulation on my car while slapping my gloved-hands and stomping my booted feet to remind my body to circulate heat. In spring I’ll dress in layers, ready to peel off the added sweater or change into short-sleeves as the day heats up. In the summer I’ll remind myself not to gripe about the high temps and humidity because in a short few months I’ll be missing those days! That’s the physical. And my life-seasons? Of family issues that I never saw advancing like a hidden army? Of a change of jobs after twelve years of what felt like “settled” but turned like a political snap of a finger with a change in company direction? Or, can I dare be bold to say, of aging and dealing with disobedient body parts? In 2016 I was blessed, truly blessed, to see my first novel, Always With You, published, and become a 2017 Christian Small Publisher Association Book of the Year Winner. 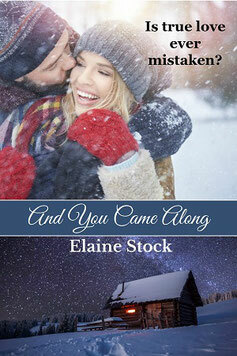 My novella, And You Came Along, was first released on November 7th as part of the collection, Winter’s Kiss, and then independently December 2nd. January, 2018 will bring the release of another full-length novel, Her Good Girl. Even now, as an author, I’m entering another season of life, trusting God to carry me through this next season of a writer’s journey to write and publish the stories I believe with my whole heart that He wants me to write. I can only pray that readers will agree. Unsure of the future, let alone the near future, I move forward. I have no other choice but to move ahead into what I can only hope is another spring season of life - a milder and enjoyable season of new beginnings, of blossoming. Spring offers promise. Yet, as a seasoned New Yorker, I know to get from fall to spring I must don the winter coat and not necessarily hunker down but muster my courage and plod through the cold to arrive in the warmth. I created the byline to my author name as “Fusing Romance, Family Drama, and Faith in a Clean Fiction Style.” In preparing for my upcoming releases, I just updated my Twitter and Facebook headers and added to the byline, “In All Seasons of Life.” My characters, Isabelle and Tyler, in Always With You, begin their journey by falling in love and marrying, while overlooking very real and dangerous consequences, during the autumn; learn of the joy of a baby on the way in the cold of winter; open their eyes to the scary truth of their situation in the spring; and fight for their lives and each other in the summer. In And You Came Along, Jacey and Zander meet during a blizzard and question the rest of their lives—together—as they face both the season of spring, and step toward new beginnings they both had once never dreamed of encountering. Then, there is eighteen-year-old Sadie in Her Good Girl, a story that takes place during 5 days at the beginning of summer. Along the way of fighting for her future, away from her broken family, she discovers the way out may be an escape to something deeper, and worse, by the hands of someone else. Weather-wise, I enjoy experiencing the feel of the four seasons, although I admit I wish winters here in the northeast were far shorter. Like, one week. I don’t think I’m being unreasonable! As for the various seasons of life, practicality and realism rule, regardless of my two cents. There will be pluses and minuses in this thing called life. I must soldier on. In faith, I hold His hand and continue. 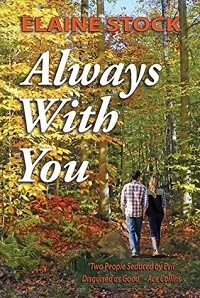 Elaine Stock is the author of Always With You which released in January, 2016 and has won the 2017 Christian Small Publishers Association Book of the Year Award in fiction. Her novels fuse romance, family drama and faith in a clean fiction style. In addition to Twitter, Facebook, and Goodreads, she hangs out on her active and growing blog, Everyone’s Story, dedicated to uplifting and encouraging all readers through the power of story and hope. Where Can I Find Elaine Stock Online? You can find Elaine in several places across the web. Visit her at her blog, website, Facebook, Twitter, Goodreads & Amazon. What's your favorite season of the year, and why?